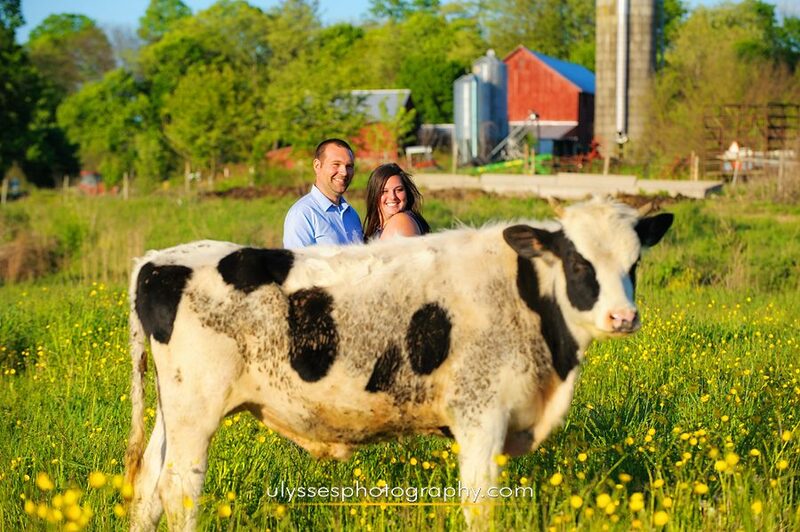 If a couple invited their photographers to their working dairy & beef farm as the location for their engagement photos, most might say “no way.” But not us! We were so PUMPED about the creative and beautiful prospects, and our day with Amy + Doug did not disappoint! As we’d hoped, there were lots of unexpected surprises — namely the lively and playful personalities of the animals on the farm. Keeping our couple close and showing off their affection was not at all a problem. But the young bulls and steers definitely wanted their own moment in front of the lens, and we simply couldn’t deny them that opportunity. Who knew livestock just want to be rockstar models?? We had an exciting time with this warm and enthusiastic couple, and we can’t wait for their wedding day at a beautiful private farm.